I don't mince words, CEO for me means "the only person in the company." Yeah, I wrote that correctly. I had little to no money to invest in my own business. Talk about fighting an uphill battle! Fortunately for me, my business requires more time than money. Time=money and fortunately I have some to spare. What I learned to do was create a monthly budget for my company and stick to it. Compared to other big box companies (and even other small businesses) my budget was peanuts. I gave myself $100 per month to work with. I took that money and invested it in marketing tools and PPC ads. I also have an embarrassing amount of pocket lint. Disgusting! So far I've invested in Facebook ads, Twitter ads, LinkedIn ads, Google Adwords, flyers and business cards. My goal, in the beginning, was to create awareness. I wasn't concerned with website conversions, engagement, or followers. My number one goal was impressions. I wanted to get my brand in front of as many people as possible. Using Google Adwords made this goal quick and easy to accomplish and I finally started to see some signs of life in my young company. 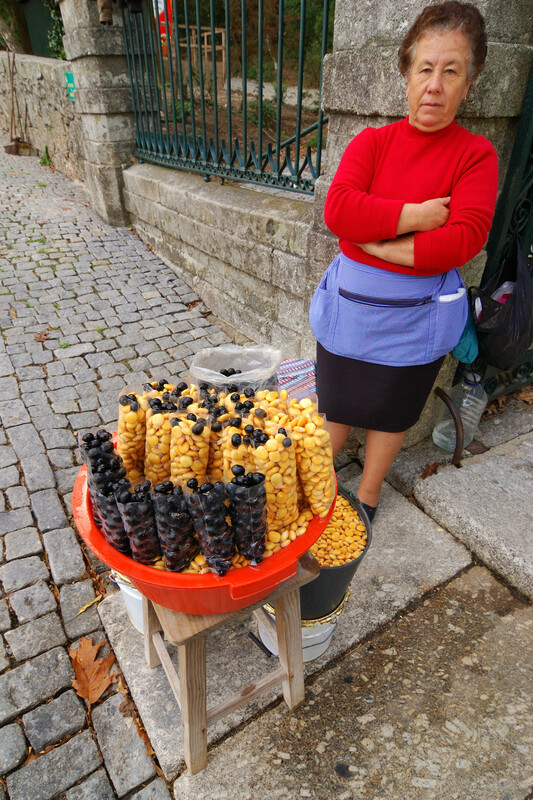 Marta couldn't figure out why she couldn't sell a single bag of her oddly colored lima beans. I made the mistake of creating my customer persona after I began my marketing push. Big mistake! Not having a clear idea of who your customer is in the beginning stages (behaviors, online searches, salary, education) is a big no-no. When I realized that my advertising efforts were falling flat because I was getting few leads, I knew what I had to do next; sit down and write down a very detailed customer persona. Oh boy, did it ever make my advertising much more effective! I wasted a lot less money and boosted my conversion rate by 91% in 2 weeks. Needless to say, I was pretty pleased about that. @@Customer personas take little effort and the importance cannot be overstated. @@ My advice is to do it early in the creation of your startup. Actually, just do it first and get it out of the way. I cannot stress enough how important it is to ask for help at every opportunity! I figured since I had a computer and the technical know-how to create websites, perform SEO checks, content market, etc. that I'd be just fine on my own. Oh yeah, did I mention that I'm a total novice at sales? That's a pretty important aspect of being a business owner, right? The simple step I took next took me further than anything else I attempted as a small business owner; I asked my friends and family for help. I asked my wife, mom, and best friend (who happens to be a top-notch NYC salesperson) to critique my sales pitch. I chose my mom because I knew she would be brutally honest, I chose my wife because she fit my customer persona, and I chose my best friend because of his background as an industry rock star. Between the 3 of them, I crafted a great sales pitch and it actually worked! This is not my sales pitch...anymore. Asking for help from others, whether it's your friends and family or the social media community, will surely help you sharpen your skills. You'd be surprised how forthcoming other business owners are with their business advice. Think of it this way, what's the worst thing they could possibly say to you? "F*ck off!" If that's the case then they're probably not as successful as they would lead you to believe. I need to start seeing real results. He makes a great point! You need to find how your product or service differentiates from your competitors. My main difference is almost exactly the same as Sam's; I concentrate on a small number of clients at one time so I can focus more on their needs as a consumer. Other agencies can't do that and I know that's my company's main strength. My services are completely custom tailored to the client and comes with the guarantee that I will spend every moment dedicated to successfully completing their goals. I will continue to make mistakes. I will never make a mistake as big as this piece of theatrical garbage though. Guaranteed! But it's how I choose to deal with those mistakes that will either make me a success or total failure. Given that I'm learning from my mistakes and taking advice from everyone around me, I think this social media marketing venture will work out nicely. The digital marketing industry is certainly getting crowded and there is a lot of noise to filter out online, but has there ever been a better time to be a small business owner? You tell me. Please feel free to reach out to us at info@foundingcitysocial.com for help with social media marketing strategies, web design, logos & branding, or how to make the perfect grilled cheese sandwich.